For the past few years, K-pop has been erupting around the world. Typically formed in groups, K-pop stars are known for their stunning outfits and elaborate dancing-singing performances; not to mention, the groups also produce high quality music videos and are constantly producing new albums, like Bulletproof Boy Scouts/Bangtan Boys Beyond the Scene (BTS). These stars seem flawless, from seeing their perfect body ratios, hearing their voices and watching their performances; it’s so easy to be caught envying their lifestyles. However, they’re just like us―flawed and imperfect. 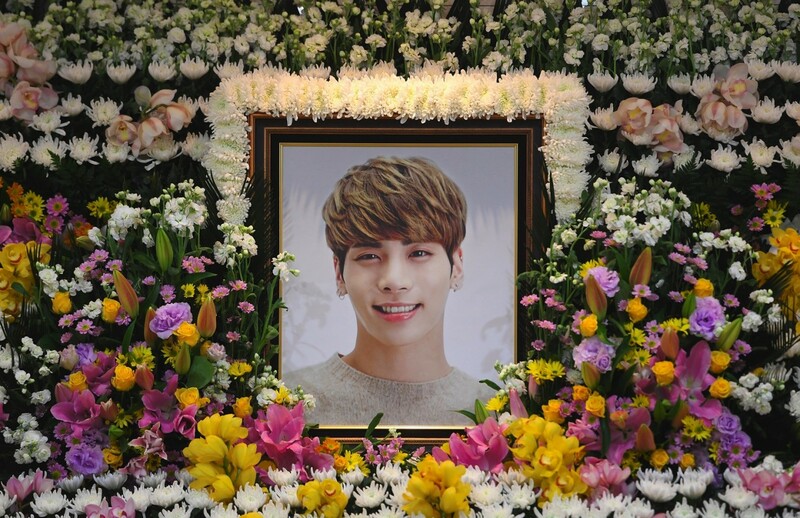 From CNN Entertainment, the K-pop star Kim Jong-hyun committed suicide on December 18. The 27 year-old rose to fame when he first began in SHINee in 2008 and later launched a successful solo career. However, he struggled with depression as it was revealed in his suicide note. And he isn’t the first K-pop star to publicly deal with a mental illness. Park Jimin, vocalist and dancer from BTS, revealed in an interview his struggle with body dysmorphia. BTS began in 2013 and since then, it’s been noticeable of Park Jimin’s struggle with body dysmorphia. Throughout the years, it’s noticeable his body weight has fluctuated by looking at pictures of BTS from the beginning compared to ones taken today. The list goes on for stars dealing with mental illnesses, but the picture’s pretty clear: K-pop stars aren’t perfect. We’re all the same, we deal with our own demons, problems and obstacles. But while mental illnesses are starting to become a more known topic in America, it’s not uncommon for Asian countries, like South Korea, to keep mental illnesses on the shelf of taboo. The Organization for Economic Cooperation and Development (OECD) collected data in 2015 and alarmingly found that 30 deaths per 100,000 in South Korea were due to suicide. While it isn’t shameful to admire stars’ achievements, it is important to remember that they all don’t have perfect lifestyles. And if you or someone you know is dealing with suicidal thoughts, don’t be afraid to reach out to someone or call the national suicide hotline, 1-800-273-8255, to seek help. Next Cardinal Sins: Louisville National Champions?